Restaurant Peppersack is more than just a place that offers good food and friendly service, but a place that opens the door to another world for its guests. You’re welcomed by a building brimming with centuries of history and its mystic atmosphere, cosy candlelight and evening sword fights will take you on a journey back in time. There are places for large groups and romantic corners for smaller parties on the several floors of the Peppersack building. You will also find Café Peppersack on the ground floor, which opens its doors to the citizens early in the morning to greet them with freshly baked pastries to enjoy on the spot or to take away. ou can buy buns, pies, cakes, biscuits and our popular kringles, which our bakers start making at the crack of dawn. 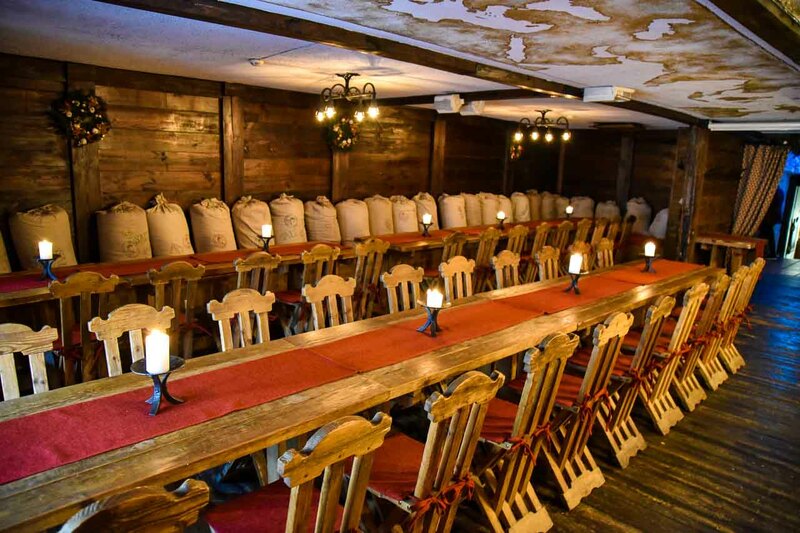 Restaurant Peppersack is located in the heart of the Old Town of Tallinn, right next to the Town Hall Square. Restaurant Peppersack was named after Hans Pepersack, a successful spice merchant who gained possession of the building in 1520. Spice merchants were mockingly called ‘pepper sacks’ back in the day. However, Hans was not ashamed of his profession and adopted the jibe as his surname. However, Hans was not ashamed of his profession and adopted the jibe as his surname. Today, several centuries later, a pepper sack still proudly hangs above the main entrance of the restaurant as the building’s symbol. On the right of the wooden house, which Tidemanus Crowel sold the alderman to JOHAN Duderstadt. It took less than half of the street side of Viru 2. The Help is repeatedly called a grain barn. Consequently, it was mainly held in Tallinn, the main means of rye. 1430 – The Stone Barn is part of the Tallinn Stone Raider-Müürseppmeister GERLICH WITTELE, who has captured himself in the Holy spirit of the city’s history as the builder of the secret tower. 1431 – Merchant GERKE bores the replacement of a wooden house with a stone building 300 marks of Riga: 100 lepers from St. John’s Seeger, 100 of the Holy Ghost, and 100 from a private person. 1434 – The modern stone house of GERKE in the 40 metre square is finished: a barn-dwelling with a two-storey main plan, a typical Tallinn Gothic: a giant high front with a kitchen-a manteland with a smaller and lower family room (Latin, the word Dormire – to Sleep). The Living room was heated by the warm air in the basement of the heater, or the mortgage. The Room helped enlighten the fireplace. There were two verses on the Street Side, where both the goods in transit and the year in which their family was cultivated were stored. The Façade has a church-worthy high-end portal with stone-and-cross windows, and two freight boxes with the top of the segmentation arches. Miraculously, the carvings of the vine and the filleting are preserved, the most recent of this kind of Gothic style ornaments in Tallinn. OLD Market 6 Garden House in the narrow yard was also built of household buildings: horse Stables on the ground floor, the rook, the shed and the animal, the living quarters of the above, the storerooms hay and who knows what else. 1437-Construction Master GERLICH WITTE completes the reconstruction of the stone barn in Viru 2. It was Probably built by a stone under the rock, out to this day both houses can be accessed from the yard. There was a narrow living space in the Cabin. 1481 – The owner of both buildings is Domina MARGARETA LYFFLAND. Umb. 1500 – The host has become HERMEN POTGETER (Potivalaja, which refers to the profession of his own or forefathers as Master of the bronze spades). Umb. 1520 – New master, Lord HANS PEPERSACK (Pepper Bag). Nots used to mock the citizens: the spicy merchants “pepper bags” and craftsmen “Kelludeks”. Our Hansu’s forefather, Evert, had taken the name of the word: it is not like to be ashamed of a specialty, which sometimes allowed to earn up to 2000 profits. The Jealous manors rarely received more than 5 seeds in their fields. 1530 – The following is the holder of “pepper bags” – HANS FROSSEL (FROSTS). The silting stone of the inner portal has been Preserved with its family character and the three hind legs of the family crest. The Rots refer to the blessing according to the medieval symboism. Originally, the raidstone was colored finish. 1574-The house is not an orphan. The devastating Livonian war is Underway. Part of the citizens escapes from an impoverished city, a part dying of plague. 1617 – A new life begins in the land of degraded buildings. The House and barn are made to order, the adjacent Viru 4 House is purchased. A successful and great merchant, JOHAN MÖLLER III, from the Millers ‘ family. He has two wives (consecutively), seven daughters, three houses, some sons and a mansion in Kunda. 1627-28 – Johan is the sponsor – with his expenses and letters, the town hall is a new and modern place to be a hidden tower. 1629-JOHAN MÖLLER Subscribs to his Viru 4 house. This Studio, the Allegory of Justitia (Justice), is currently decorating the town hall. The emblem of Raehärra refers to the coat of arms of Möller with a half-wheel tyre. Viru 2 is built for more than half the yard. This basement breeds a fire-resistant vault vault. 1634 – Imported Copsilians in the house. The Duke of Holstein-Gottorp had sent more than a young expedition to explore the Europeans ‘ little-known lands, such as Moskoviitia and Persian, but in the vicinity of our Kõrgessaare the ship went north in the storm. The Maritime Emergency was rescued by Johan Möller Kunda Manor, then they came to Tallinn for several months. ADAM OLEARIUS, one of the ambassadors, found the daughter of Rehärra Möller, which was the most important around Tallinn. Another Embassy member, PHILIPP CRUSIUS, kept a more charming young Maria Möller. At the time, a fireplace was used in the building, with curvy curbstones currently being walled up by the side wall of the house. 1639 – The Holstein-Gottorp expedition will return to Europe from the Oriformer. 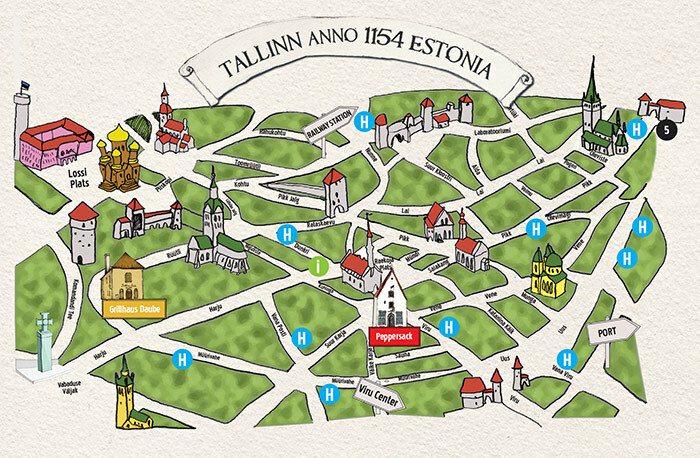 In Tallinn, there are five weddings. Katharina Möller will be Adam to Olearius and leave with a man in Tallinn. When you marry Maria Möller, Philipp Crusius will become a home market in Old Town, later asking for the Viru 2 house. He enters the Estonian chirots and codifies local land law. 1647 – Schleswigis appears Adam Olearius “New Oriental Journey…” The first printing. 1649 – ADAM OLEARIUS visits Tallinn for the last time and draws the city skyline by the east, which is engraved in the second edition of his journey book. 1649 – Queen of Sweden Kristiina lifts PHILIPP CRUSIUS into the noble state of KRUSENSTJERNA. You can get your hands on a whit. 1652 – Johan Möller III dies. He is buried in St. Nicholas Church already 1599. The family tomb and the plaque of stone. Now, a wooden epitaph is ordered, which is painted with a precious deuke with all of its numerous families. Very Pithy, moreover: all kneel and pray to the naked Christ-the baby. This Great memorial Plaque, unfortunately, was destroyed by the bombing of St. Nicholas in March 1944. 1656 the Conference of the Duke of Schleswig-Holstein is published in the Bibliotekaari and the court-mathematics of Adam Olearium “The Upgraded new Traveliri of Moskoviitia and the Persian route, which have taken place in the dispatch of the Embassy of Holstein to the Russian tsar and the Persian king…” It was issued in 5 post-editions in German, as well as translations into French, English and Russian. In the Book of Olearius, the most popular travel listing in the XVII century, there are two views of Tallinn, pictures of Narva City and waterfall, Kunda Manor, peasant’s wedding war in Estonia and the manor of plagues. The Author is compassionate with the peasants of the natiors, but wonders for the pagan rituals of Estonians. 1659 – Philipp Krusenstjerna is appointed to the Royal Swedish mass altar In Estonia. JOHANN ADAM VON KRUSENSTERN, Admiral of Russia, and the first World Sailing board under the Russian flag have become the most famous member of the noble family who sprouts From Him and Maria Möller. His tomb and grave Tomb (1848, sculptor Exner’s work) are at the Tallinn Dome Church next to the famous admiral, Samuel Greighi’s grave monument. 1676 – he dies Philipp Krusenstjerna. 1710 the plague, after limiting Russian forces, remains in the house without owners and residents. 1717 – Family NOTTBECK buys the property and makes repairs. The members of the Family were mostly merchants or lawyers, many of which belonged to the magistrate’s composition. The Family’s whale is a tree and a swan. The Four painted beams on a red background with the window-bending cords had recently been left with the innovations of the Nottbeck in the house. 1782 the real estate was received by a fellow merchant daughter MARGARETA HELENE BROCKHAUSEN. He was a native of a raesugh. According to the location of the Forefather’S House, the area of Brookusmägi was renamed Tallinn, which currently bears the names Sulevimäe and Olevimäe. We Believed that there were also innovations. On a White background, blue flowers were painted as a model of porcelain paintings on one of the ceiling beams. Umb. 1790 – The barn was sold to the Russian merchant ARTEMI MIHHEYEVILE. Umb. 1810 – Residential house became her widow ANNA. 1852-The old yard was demoled. It was replaced by a three-storey brick with cheap rental apartments. According to a project from the Governor Gabler, the Old Barn house was reconstructed into a residential building. A wide triangular slice of the barn was Dismantled, regular window lines were made, and the late-classicist plastering finish. 1853 The merchant, PJOTR PAVLOV, has become the owner, is to carry out further amendments. 1857-a Gothic main portal was Liquidated. A simple rectangular doorway is Built to the street level. The Large front of the house was divided into bulkheads and intertimes between the two floors and the bulk of the Ubrikuaks. Three of the five painted boards were cast with tables and plasterets. The Rooms and chambers were tried to make everything as smooth and brighten as possible. Prudent utilitarity corresponded to the time spirit, but made the house more boring. 1880 – The roof became a stain coating instead of ceramic tiles. The Façade became the main form of Stone lion, with the wind. Umb. 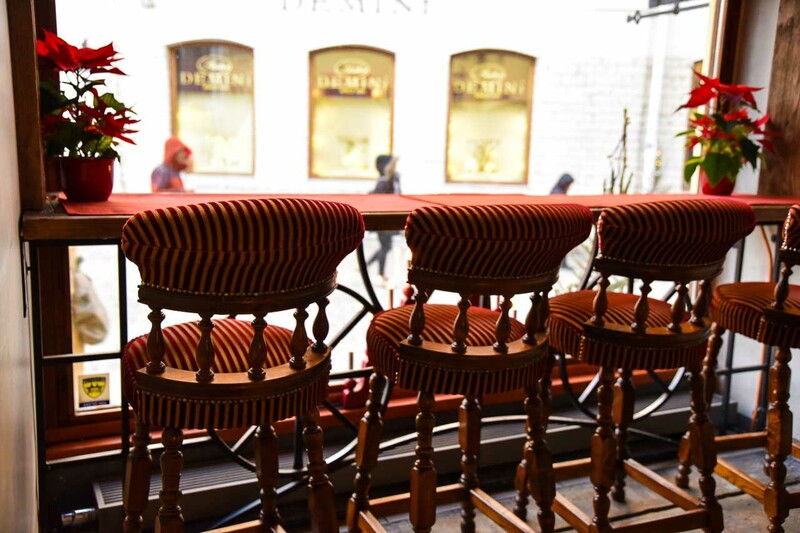 1910 the lower-floor windows of the former barn are transformed into large showlights in accordance with the latest fashion line of Viru Street as a shopping street. Umb. 1920 the house is in a half-basement (left) with a six-table mini-bar “Gnoom”, which is popular among older ladies for decades. Umb. 1935 – A Gag house in the semi-basement (right) is located in the “AGFA” Company photo store. By That time, the entire premises of the registered immovable are so modernized that the artistic details of the past have been uncovered or destroyed by only two painted talalage. 1940, August – The house is nationalized by the Soviet authority. 1944, the beginning of March – “Agfa” in the basement of the photo store is massively accumulated in rats and mice, as if knowing that the Soviet bomb attack was 9. In the evening of March, this House remains. 1960 – Restores the red ceramic roof. The City Museum is brought to the slice into a baroque-style branch. There is no more money or energy for the city heritage Conservation to order a Kite. However, three projects will be completed for the restoration of the entire building. Their execution runs in the sand, because in the circumstances of the bitter apartment crisis, the tenants of the house cannot move. 1975 – The fourth restoration project is completed. 1978 a fire is to be completed before the population is definitively emptying. One person is Killed and the tree of wood is destroyed. 1980. A. The possibilities of the Moscow Olympics: organizing the Old town in the Olympic sailing segment in Tallinn. Polish restorers from the Company “PKZ” (“Pracovnia konservacii Zabytkow” – Workshop for Conservation of monuments) work for a fee from Moscow, Tallinn. Poles do not care about the project made by local men. Architect A. Maciur Gdanskist will make a new one. His task is not to light the shield because the customer wants too many features: The property is a restaurant, café, winery, kitchen, pastry shop, warehouses, preparation rooms, laundry facilities, places for staff. The construction of the yard was demolished and a new, larger than previously constructed. 1980, 27.12. – “Gnoom” was reopened. He retained his name, although the Hobbitor had become an extensive catering company. During the Adjustment process, a large front house was restored and the details and constructions found in the works were exhied. However, there were also elements in the building that do not sew Tallinn’s gothic, but with Polish Baroque. On May 2002 the restaurant Peppersack was opened by six former Amigo bartender. 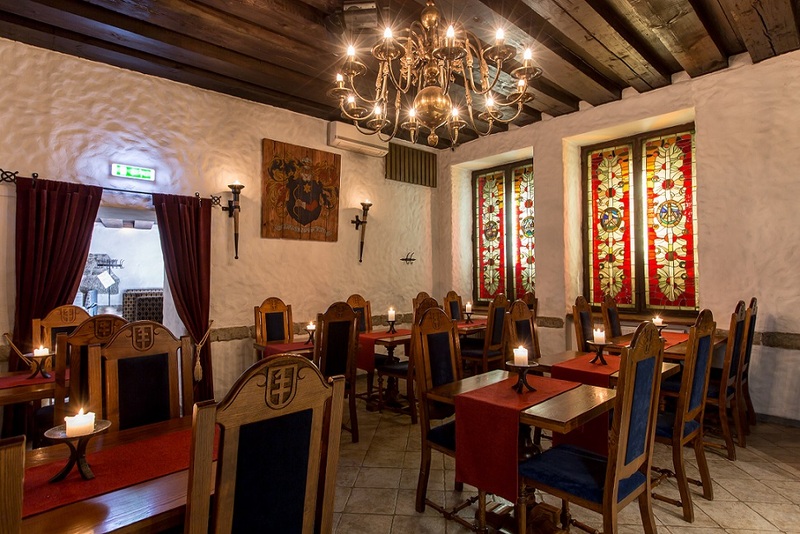 The Restaurant was named after Hans Pepersacki (Piprakott), who was the host of the house between 1520 and 1524. The Peppersack Restaurant became the symbol of a pepper bag that hangs on the outside of the house at the end of the seam. The Peppersack logo is a red and black pepper on the name. Peppersack’s coat of arms became Hans Pepersacki’s family badge in Ruunik’s and is depicted on the exterior façade of the restaurant and in the chairs of the Rüütli Hall. The House got a new interior, massive in the European renaissance, but comfortable. As many natural and natural materials as possible have been Used, which may have been 17. In Tallinn. Patchery gets new stoves and furnishings. 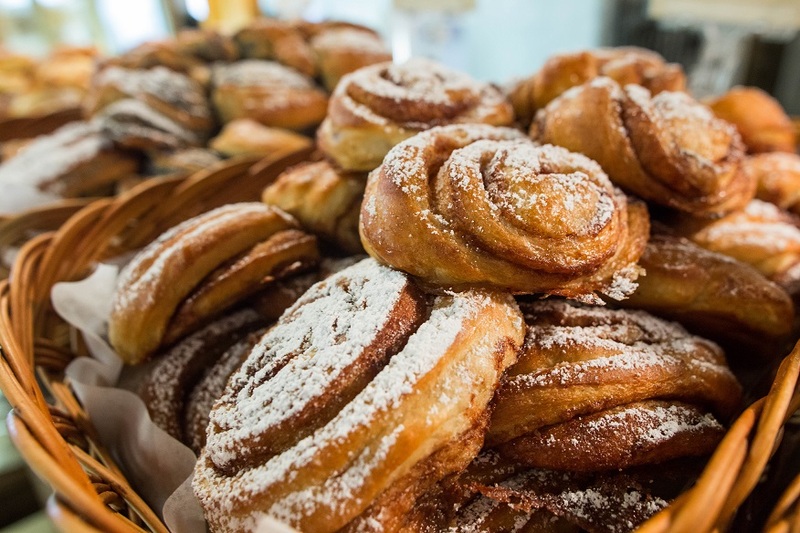 Locally made pastries are sold at Elsebeti Café. The façade gets a new look. Peppersack’s house features several historic sights related to the former inhabitants and owners of our house. The staff of the “Gnoomi” (in a pastry shop and a service) remained in the House. The House has three fully-fledged kitchens and 4 bars. There is also an outdoor terrace in the Summer. We will confirm bookings by e-mail as soon as possible. We confirm reservations made in the evenings and weekends during the next working day.